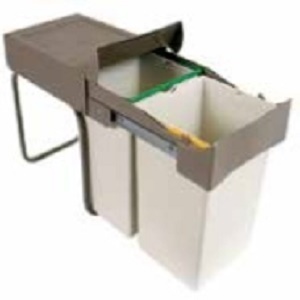 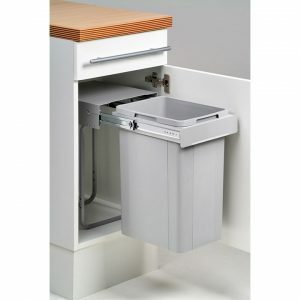 The Wesco Double Waste Bin – 30L is designed to fit under sink units door mounted. 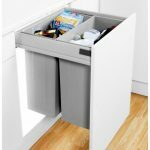 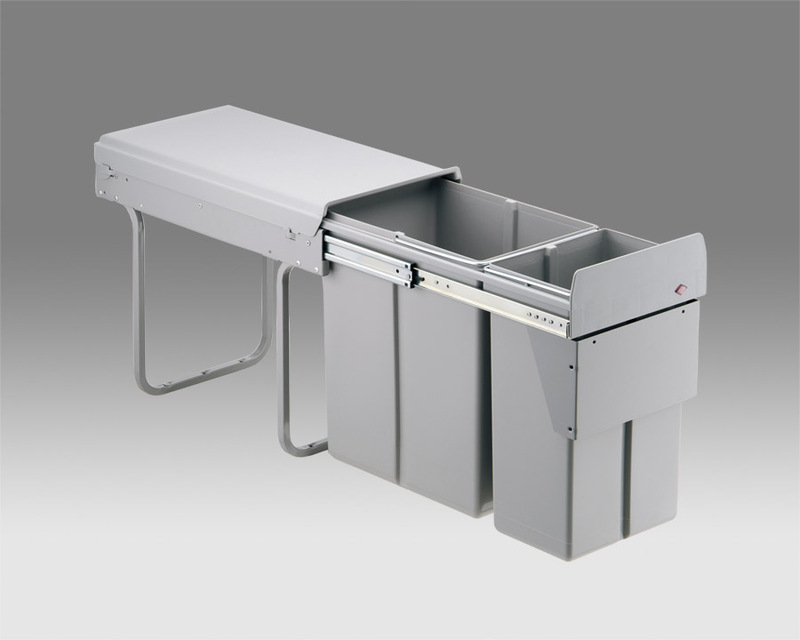 The 1 x 20L 1 x 10L kitchen bin compartments hang from a floor mounted frame. 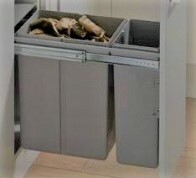 Fix the frame to the base of your cupboard and the door frame to the front frame of the kitchen bin- the rubbish bins pull out on full extension ball bearing runners. 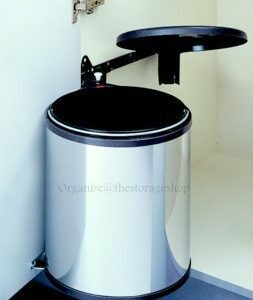 The Wesco Double Waste Bin – 30L is designed to fit under sink units. 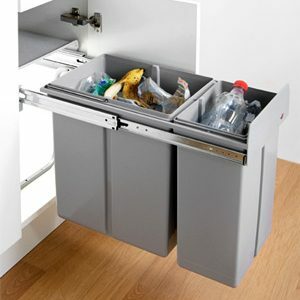 The 1 x 20L and 1 x 10L kitchen bin compartments hang from a floor mounted frame and bin front to be mounted on the door. 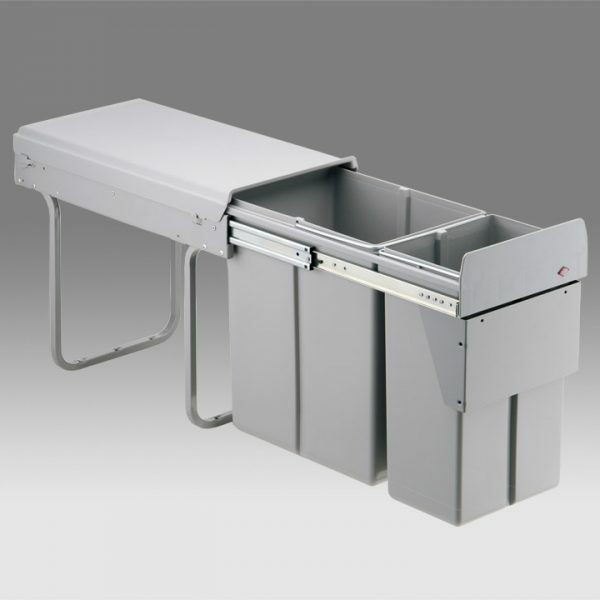 Fix the frame to the base of your cupboard – the rubbish bins pull out on full extension ball bearing runners.